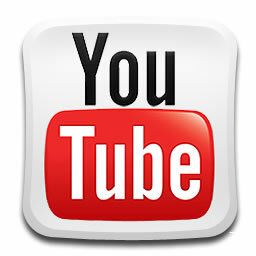 YouTube Video to MP3 Converter on Cloud Based Platform are quite easy to install and run. Many PaaS are Free and provide DDNS and supports Ruby Gem to run. Quite obviously you can run from your own UNIX or UNIX Like OS like Linux. The basic reason to use YouTube Video to MP3 Converter on Cloud Based Platform is the advantage of DynDNS, there will be no static IP. YouTube Video to MP3 as a system is possibly not illegal as the License becomes YouTube’s License. For example, you might download our MP3 of our Guide Videos ! This is actually the legal reason of showing you the usage of YouTube Video to MP3 Converter on Cloud Based Platform. It is practically legal, until you sell the MP3’s or rather it is legal if you do not violate YouTube’s legal disclaimers. As you yourself is not hosting any copyrighted material, it is fully legal. Using Dyn DNS for running YouTube Video to MP3 Converter on Cloud Based Platform has the advantage of not getting blocked by simple IP blocking. Most will require FFmpeg, FFmpeg is important to run a video conversion website with streaming video files conversion of video files to different video and audio formats. So basically you will need an Heroku Cloud or App Fog or Open Shift PaaS and clone the repositories and run the scripts. You can search on this website for other similar tutorial on how to use and install web software on Heroku, for example. Definitely you can install on Rackspace Cloud Server, but talk with the support if it breaks the SLA terminating your account. This Article Has Been Shared 3038 Times! which carries tons of helpful data, thanks for providing these information. Cite this article as: Abhishek Ghosh, "YouTube Video to MP3 Converter on Cloud Based Platform," in The Customize Windows, January 22, 2013, April 19, 2019, https://thecustomizewindows.com/2013/01/youtube-video-to-mp3-converter-on-cloud-based-platform/.